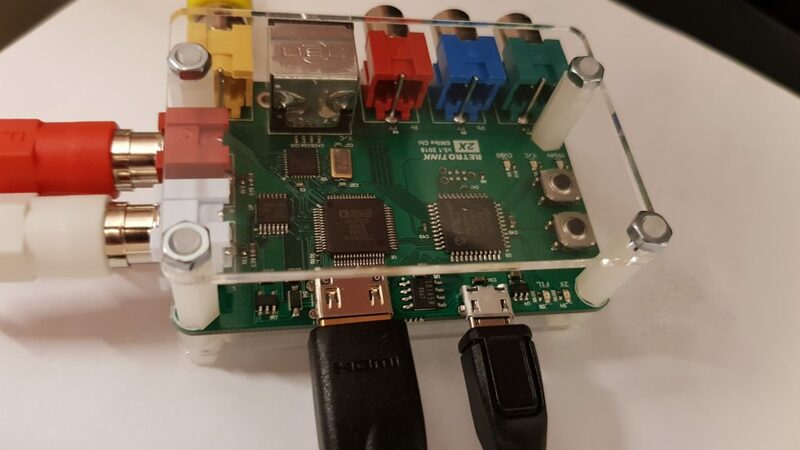 RetroTINK 2x is another small upscaler (actually, a linedoubler, like OSSC) targeted at retro gamers with consoles which only support composite/s-video and component inputs. Framemeister (XRGB mini): is a true upscaler (it can upscale to many resolutions), supporting composite, s-video, component, RGB (scart over din) and HDMI inputs. It’s pretty expensive (alsmost 3x the cost of the RetroTINK), but is very versatile and has a ton of additional options (different scaling options, scanlines, image resizing etc.). No issues with TVs, althout the device itself has small issues with component sources and solid colours. OSSC: is a x-doubler (it supports, depending on the source resolution, 2x, 3x, 4x or even 5x multiplications! ), supporting resolution from 240p (passthrough) up to 1200 (240p x 5), supporting component, vga, RGB (scart). It doesn’t support composite and s-video though. Has also some additional features like scanlines, edge cropping. But: OSSC can have issues with SNES and with some resolutions (your TV won’t accept them). RetroTINK: is a pure linedoubler and the maximal resolution is 480p, which should have no issues with any TV. RetroTINK can be considered as a supporting device for OSSC. In fact, both can be used in tandem, so that OSSC can improve image even more! This will be discussed below. If you don’t have any scalers at all and your TV doesn’t process 240p you should consider buying this small and not really expensive device. If you own a OSSC: you should still consider buying the RetroTINK because it supports connection types the OSSC doesn’t support AND you can use both devices in combination. Of course your can use the RetroTINK as a universal analog-to-digital converter, e.g. for other devices (like old cameras or video tape recorders). RetroTINK itself has zero lag (because it only linedoubles and doesn’t use any framebuffer or scaling methods). It supports component (YPbPr), S-Video (Y/C), and composite (cvbs) sources and outputs digitized signals via HDMI. The device can passthrough 240p and 480i (this resolution is deinterlaced and doubled to 480p) and linedouble 240p to 480p. It’s created by a retro gaming enthusiast Mike Chi and is available for sale since late 2018.
mini-USB compatible power supply, though any other source (like of your TV) are also sufficient. The power adapter comes with an adapter for micro-USB and a set of adapters for UK, EU and USA. The same adapter as with OSSC, actually (only the micro-USB adapter is new). Connection is very simple. 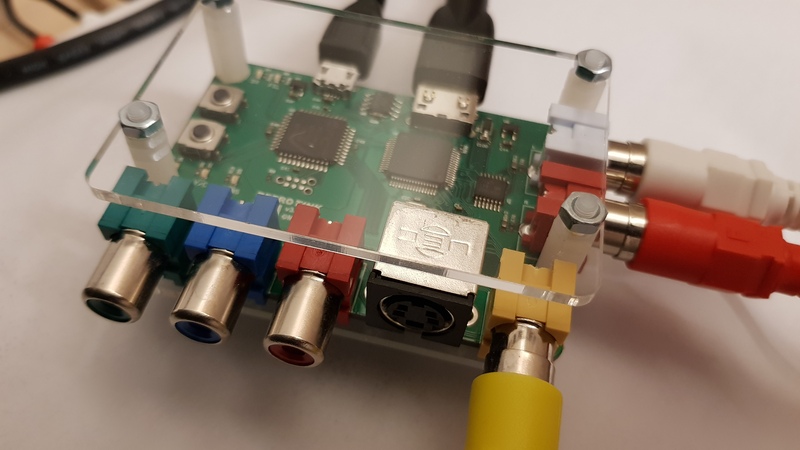 Connect your gaming console via composite, s-video or component cables with the RetroTink. Attach a micro-HDMI to HDMI cable and connect it to your TV/Monitor. Connect to with power source using micro-USB to USB (or power adapter sold separately). Choose the correct source. No menus, no remote controls — the simplest plug and play. Passthrough (both lights off): in this mode the signal is digitized only and retains resolution and frequency. Note: most modern TVs won’t be able to process this signal. Almost all consoles can ouput via composite, but you need to consider, that only those, which ouput 240p or 480i (that means Dreamcast and older) make sense. The whole purpose of the RetroTINK is to process the obsolete resolution of 240p (many modern TVs have problems with it!) and make 480p out of it. Some consoles only support composite or S-video connections, so they should be considered first (and all others should be used with better connection types (RGB/component) and OSSC). It doesn’t really make sense to use consoles with 480i with RetroTINK, because OSSC should handle this resolution better. Even most TVs still process 480i without problems. Another fact is that many european consoles already support the better RGB connection type but many US consoles only support composite or s-video. 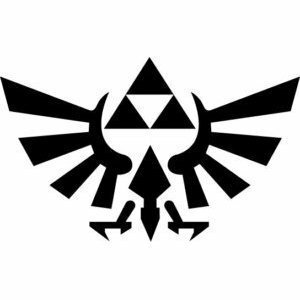 So RetroTINK is useful for those who want to use (non modded) US models. The OSSC can linedouble 480p to 960p… so why not connect the RetroTINK to the OSSC? And this is possible! 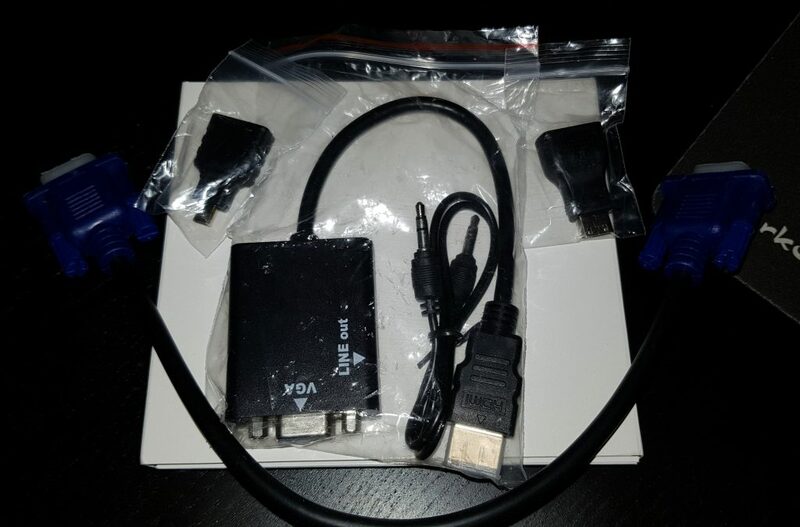 Just use an HDMI to VGA adapter and connect the VGA ouput from the RetroTINK to the VGA input of the OSSC. Benefits are of course the better resolution (960p) and usage of all other functions like scanlines etc. Depends on the source connection and you need to keep in mind, that composite image quality is pretty low (second after Radio Frequency). S-Video is a bit sharper, but still miles away from RGB via Scart or component. Thus don’t expect miracles (they won’t happen on Framemeister either). You can improve the picture quality by connecting the RetroTINK to the OSSC (and make 960p out of 480p) or even the Framemeister (the Framemeister has HDMI inputs, which can also be processed), though the last option is pretty useless, since the Framemeister supports composite/s-video on its own. Using the optional HDMI to VGA adapter you can use the RetroTINK with any (vga-enabled) monitors. You can also use an HDMI to DVI adapter, if your monitor doesn’t support HDMI natively.